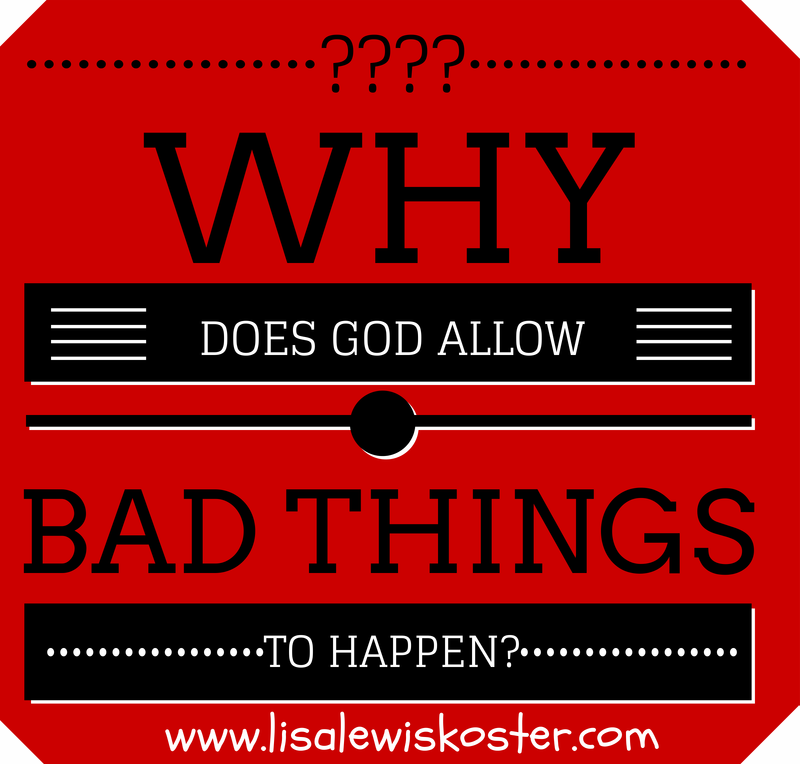 True Hope and a Future: WHY DOES GOD ALLOW BAD THINGS TO HAPPEN? This is a question we have all struggled with at one time or another, in one form or another, isn't it? Why is there illness and injury? Today my Bible reading plan called for me to read the book of Habakkuk. And because I chose to cut myself some slack today - I'm still trying to recover from my trip to Kenya and nursing yet another headache - I allowed myself the luxury of studying until I was done studying. Today that meant reading the chapter on Habakkuk from Dr. Larry Crabb's book, 66 Love Letters, both before and after I read the book in my Bible. He had such great insights into the answer to the questions above that I decided just had to share them with you! A little background: God had revealed He would allow the evil nation of Babylon to bring judgment on His chosen people Israel. The book of Habakkuk records the conversation Habakkuk had with God about suffering and justice. If I tried to paraphrase I couldn't do it justice, so the "dark red" print is quoted directly from Dr. Crabb. He says God's message to us in the book of Habakkuk is basically this: "Never ignore your struggle with how I do things. Ask every question that rises in your heart as you live in this world. But prepare yourself to struggle even more with My response. You must stumble in confusion before you dance with joy." Well, I think I have the "stumble in confusion" part down, how about you? - Decide to take matters into our own hands. None of these are good options. It's only as we become mature in our relationship with God and become certain of His character that we are able to trust Him and wait, in faith, in that difficult place between confusion and understanding. "God allowed Habakkuk to continue in the mystery of His silence until he was worn out. Only when false hope is abandoned will God’s strange but true hope be embraced." I think Rich Mullins said it clearly in his song "Hard to Get" when he said: "I can't see where You're leading me unless You've led me here, to where I'm lost enough to let myself be led." Unfortunately it's often not until we run out of options that we will turn to God and seek His direction. "Nothing catches God off guard. Nothing has ever happened or ever will happen that He is not using for His purposes" If it doesn't fit with God's plan, He doesn't allow it to happen. "What God allows seems to contradict His holy and pure character. He requires us to live in the tension between the evil that prospers…and His plan to restore the beauty of His character in this world. It is that tension that shifted Habakkuk’s focus away from frustration with what he saw in the world towards the mystery of how God executes His plan. "People respond in one of two ways to God’s requirement to wait. Either they refuse to wait and instead try to manage life according to their desires; or they live by faith in God’s character, confessing their own selfish ways and yielding to His plan and His timetable. Those who live by faith will struggle in ways that those who live to make their lives work will never know. It is that struggle, to believe despite desperate pain and confusion that a good plan is unfolding, that will open your eyes to see God more clearly." "The price to see God more clearly is this: you will tremble in agony as you live in a sinful, self-prioritizing world as a sinful, self-prioritizing person, knowing that no sin will go unpunished even though, for a time, God will appear to be doing nothing." "You will learn to wait in emptiness and frustrated desire for God’s plan of love to reveal itself." "Though my marriage tree may not bud and though my crop of children may fail and my work produce little yield, though there is no money in the bank and no dream left in the heart, though others may choose different ways to live their one life, till my last heaving breath, I will fight to the death for this: "I will take joy." ~ Paraphrase of Habakkuk 3:17-18 by Ann Voskamp in her book, One Thousand Gifts. - God gave us freedom to choose, and each of us have chosen to sin; to do those things God has said are not right or good. We live in a fallen world because it is made up of fallen people. - God's thoughts are not our thoughts; neither are His ways our ways. Let's be honest - we want an easy life. We want to have things our way, but that's not going to happen before we get to heaven. And things will only be our way in heaven because we will no longer choose sin; we will choose to do things God's way. Totally agree with...prepare yourself to struggle even more with my response. That is so true! Being in close prayer connection with GOD is something awesome. One you realize HE is listening and responds it changes how u look at prayer! I too agree with you, my dear sister and friend. We bow in humble adoration to His mysteries because He knows the end from the beginning. Our times are in His hands. Life is hard, but God makes us stronger. It is a good thing to be in the hands of the Living God. I'm so glad that God is not offended by our questions and struggles. Blessings from the Weekend Brew. I haven't asked why in a very long time, not since I was a teenager. I always go back to Job 38-41 as the answer. great post. I think we all ask why at some point in our lives. even seasoned Christians struggle with some of life's difficulties, whether they be consequences of bad choices or just....life. 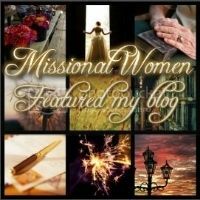 Great thoughts- I've thought a lot about this since I diagnosed as chronically ill when I was a teenager and I had to learn to live in spite of being sick and how to follow God even when it doesn't always make sense. 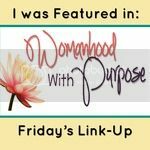 I'm writing on this topic right now actually too and I think too so much of it came down to the fact that God is good and that I can submit to Him in whatever path He chooses for me. I know He has His purposes in it. Thanks so much for talking about difficult topics! What an encouraging post! I personally don't struggle too much with this question, but I know a lot of people who do. It will be good to have more answers to give them. Thank you! Why do bad things happen? Your ending statement, we live in a fallen world is part of the answer. The garden of Eden is no longer available after Adam and Eve were made to leave. The curse came and that is the source of most bad that happens/ (Our enemy the Devil.) There are times when because of man's sin or a nation who is rebellious, God Lifts His hand of protection and allows wars, disease, floods, turmoil to reign. Stopping by from #TellHisStory- great topic to tackle. :) Thank you for pointing us to truth. Amen, sometimes its harder to watch someone else struggle. I have been struggling with this lately. Thank you for your thoughts.